The largest global sports media property in Asian history, ONE Championship™ (ONE), hosted the biggest martial arts spectacle in the history of Thailand as the best and the brightest from boxing, mixed martial arts, Muay Thai and kickboxing gathered under one banner to celebrate Asia’s greatest cultural treasure. ONE: KINGDOM OF HEROES left an indelible legacy with 14 heart-pumping martial arts contests, punctuated by ONE Championship’s first-ever world-class boxing match that pitted two of the best super flyweight boxers in the world today. In the main event, Srisaket Sor Rungvisai of Thailand dominated Mexico’s Iran Diaz over the course of 12 rounds to retain the WBC Super Flyweight World Championship. Meanwhile, hometown favorite Stamp Fairtex defeated Kai Ting Chuang of Chinese Taipei to capture the ONE Kickboxing Atomweight World Championship in front of her hometown crowd. In the main event of ONE: KINGDOM OF HEROES, Thai boxing superstar Srisaket Sor Rungvisai sent the crowd into a rapturous chorus of cheers by clinching a unanimous decision win over Mexican challenger Iran “MagnifiKO” Diaz to retain the WBC Super Flyweight World Championship. Banking on his heavy hands and southpaw stance, Srisaket persistently hammered the taller Diaz with hard body shots from the opening bell. 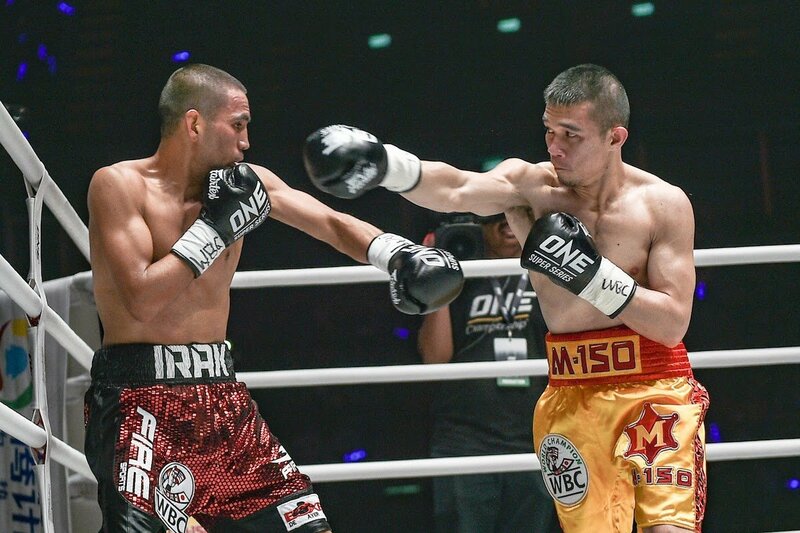 The consistent attack to the midsection paid dividends for Srisaket in the later rounds as Diaz dropped his defensive guard, prompting the Thai boxer to increase his offense that had his opponent reeling inside the ring. In the championship rounds, Srisaket unleashed a series of power shots, but Diaz amazingly withstood the blitz of punches from the hometown hero. In the end, the three judges unanimously awarded the victory in favor of Srisaket with the scores of 119-109, 120-108 and 119-109.